France France U-Pick farms: Find a pick your own farm near you in France for fruit, vegetables, pumpkins, organic foods,local produce and more! Looking for a local, pick-your-own farm in France? 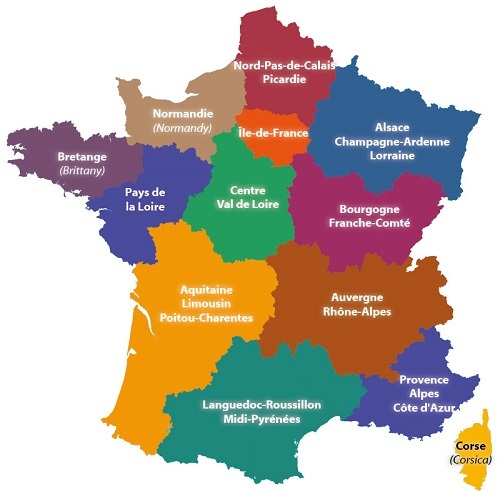 Scroll down this page and you will see the U-Pick farms in France, sorted by county. Those that offer organic or sustainably grown produce are identified by the words "organic" and/or "sustainable" in Green, next to their name (see "What does Organic mean?"). The U-pick crops they offer follow the name of the farm. To search the page for a specific crop, use Ctrl-F (or on an ipad or Mac, use their "search on this page" function) If they have a website, the name will be in blue and underlined; click on it and it will open their website. If you find anything outdated or inaccurate, see the customer and farmer menus (as appropriate) at the top menu bar to submit updates and corrections and help me keep each current! These pages list pick your own farms in France. You may pick the fruit or vegetables yourself. Please use the feedback link if you want to tell your experience (good or bad) with a farm, ask a question, or comment on the website. I'm always looking for more farms to add, so click on the suggest a farm link if you know of a farm that I haven't listed! And if you have a farm and want to add it or correct the information, just click on Add My Farm. The regions of metropolitan France change in 2016. We are using that newer organization below and on the map. You can find the harvest calendar for Farnce here. Ces pages regroupent vos propres fermes en France. Vous pouvez choisir les fruits ou les legumes vous-même. S'il vous plaît utiliser le lien de commentaires si vous voulez dire votre experience (bonne ou mauvaise) avec une ferme, poser une question, ou un commentaire sur le site Web. Je suis toujours à la recherche d'autres fermes à ajouter, alors cliquez sur le lien suggerer une ferme si vous connaissez une ferme que je n'ai pas repertoriee! Et si vous avez une ferme et que vous voulez l'ajouter ou corriger les informations, il suffit de cliquer sur Ajouter ma ferme. Les regions metropolitaines changent en 2016. Nous utilisons cette nouvelle organisation ci-dessous et sur la carte.